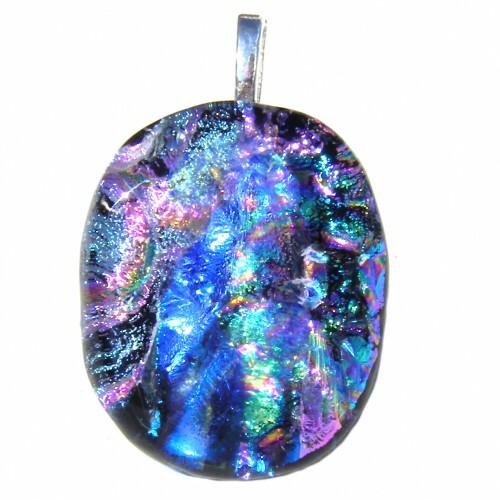 2.5 cm x 2.2 cm. 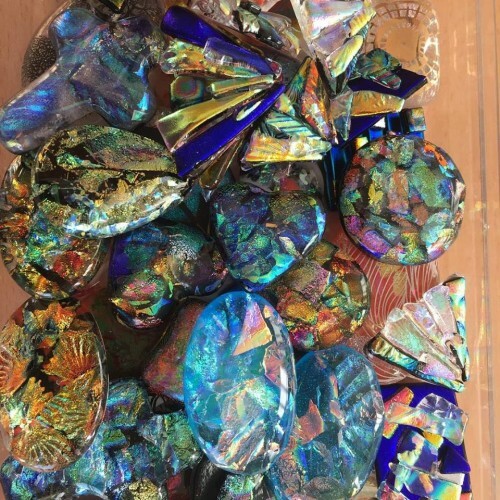 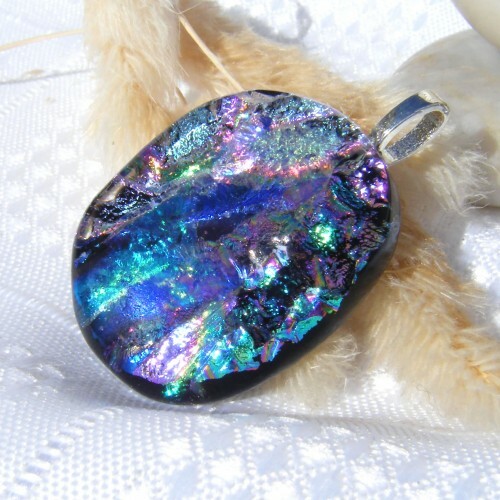 Beautiful texture patterns in a gorgeous combination of rich colours combine in this unique dichroic oval shaped pendant. 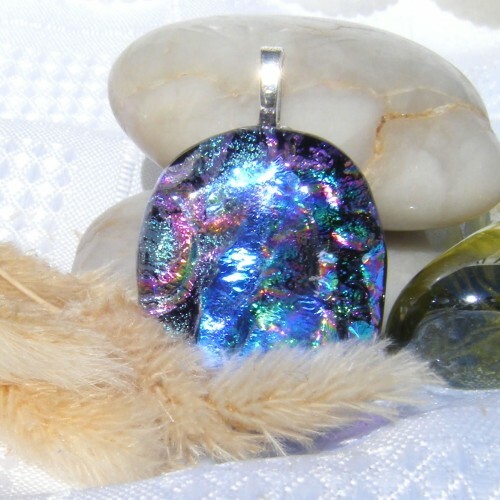 The glow and sparkle of this pendant is remarkably brilliant and what the photos don't quite capture is the hint of purple on the surface of this pendant. 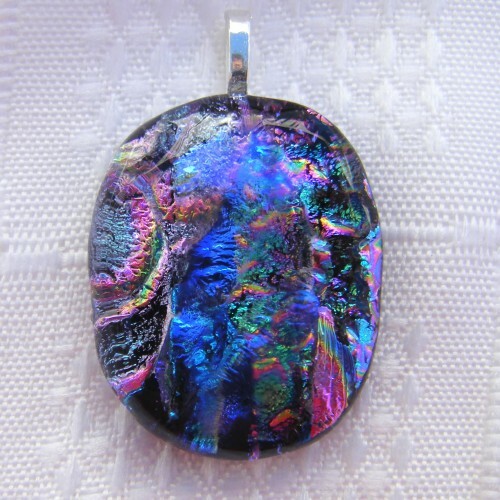 This creates an almost holographic effect as it moves on your neck. The top layer of the pendant is uncapped dichroic which dramatically enhances the sparkle of the dichroic. 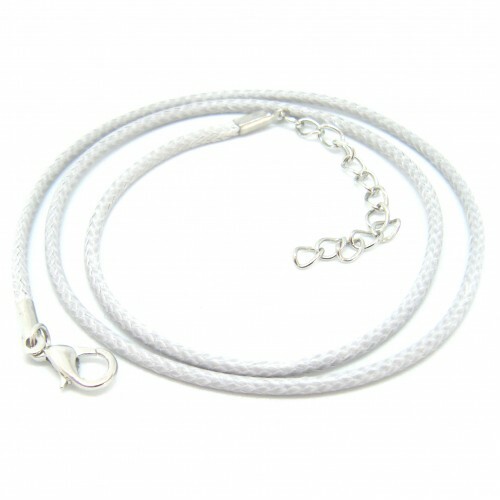 Complete with a silver plated bail silver coloured extendable cord necklace and pretty gift box.